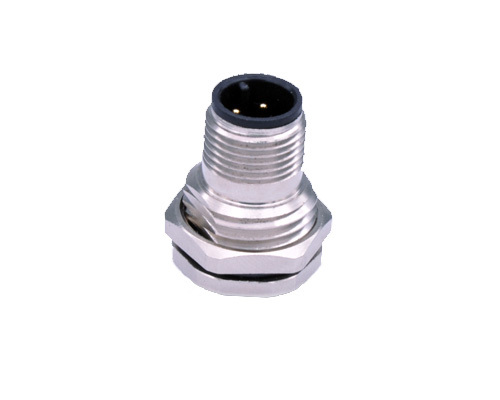 FLECONN, as a M12 connector Manufacturer, can supply high quality M12 waterproof connectors for global clients.These products can achieve IP 67/ 68 waterproof rating. 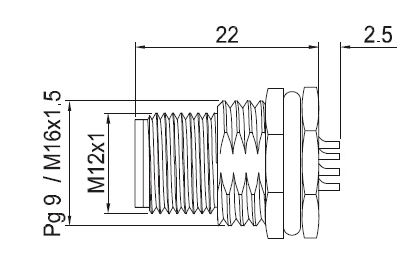 Products Type: M12 Panel Mount Connector. Contact Body Type: Male. Coding Type: A Coded. Contacts: 4 5 6 8 12 pin. Installation Method: Front Panel Mount. FLECONN, as a M12 connector Manufacturer, can supply high quality M12 waterproof connectors with rear panel mounting thread PG9 / M16x1.5 for global clients.These products can achieve IP 67/ 68 waterproof rating.